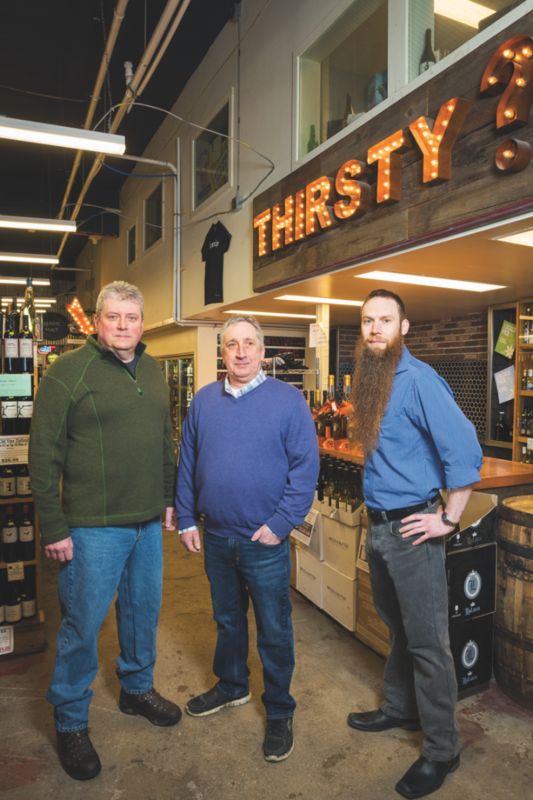 Beverage Warehouse is Vermont's go-to store for hard-to-find drinks. Winooski, Vermont-based Beverage Warehouse epitomizes the independent spirit and neighborly values of its home state. The 40-year-old store in northwestern Vermont attracts local consumers, including college students from several nearby universities, tourists, and vacationers, as well as visitors from Canada, which lies just 90 minutes north. Owned by members of the Swiatek family since 1984, Beverage Warehouse has emerged over the years as a resource for many hard-to-find items. The 17,000-square-foot Beverage Warehouse has total annual sales of more than $8 million, Market Watch estimates. 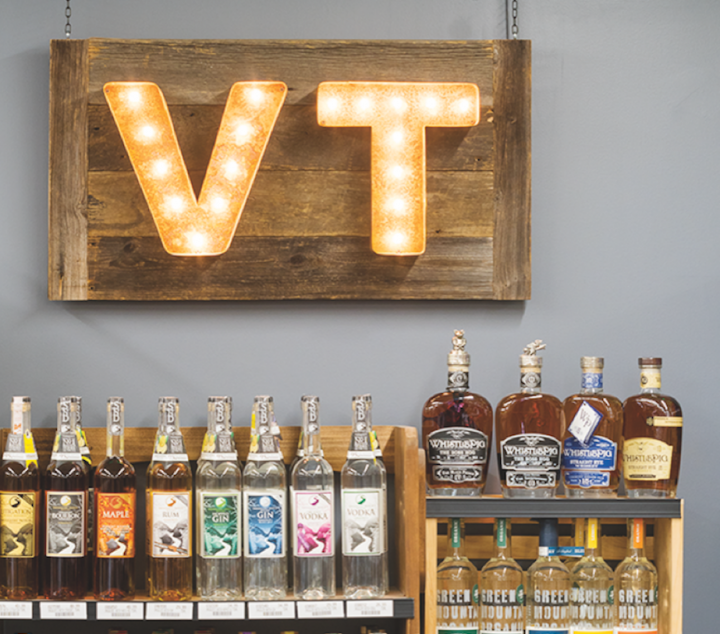 Spirits sales are at more than $4 million, making Beverage Warehouse the top agency store for the Vermont Department of Liquor Control (DLC). Spirits represent 46% of sales, while beer comprises 35%, wine accounts for 15%, and miscellaneous items contribute roughly 4%. Over the last five years, beer and wine sales have surged by 35%, driven largely by the craft beer boom, and the spirits side has grown even faster. 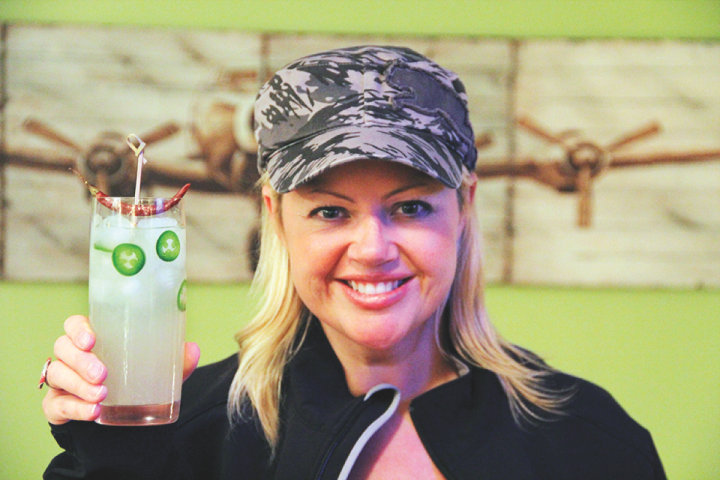 Jen Swiatek is Beverage Warehouse’s majority owner, while her former husband George Bergin holds an 8% stake. Swiatek, who says that she and Bergin remain friends despite their divorce, oversees store financials, social media marketing, and the sales floor. Beverage Warehouse’s reputation for its vast beer selection dates back to the late ’80s. “We had about 380 different beers then, while the average Vermont store had 50,” Swiatek recalls. “We became known as the Vermont store carrying every beer that could be sold legally in the state.” Today, Beverage Warehouse stocks as many as 1,200 beer SKUs, priced from $4 a 6-pack to $25 a 4-pack. 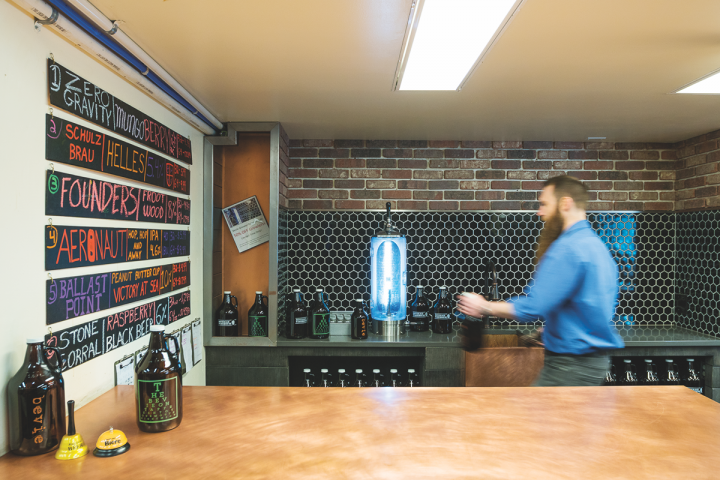 The store features 57 cooler doors devoted to the category, as well as a growler bar pouring six brews, priced from $6-$25 a 32- or 64-ounce container. Options range from small-batch local beers up to national labels. Locally produced beers, such as Zero Gravity Conehead IPA, Switchback ale, and 14th Star Tribute Double IPA ($10-$14 a 4- or 6-pack), are the store’s top sellers. Beverage Warehouse receives regular allocated shipments from Vermont’s popular The Alchemist and Lawson’s Finest Liquids breweries, events that drive mobs of craft beer fans to the store. As an agency for the DLC, Beverage Warehouse stocks and sells spirits in return for a sales commission, generally between 6% and 8%. This provides merchandising restrictions, Bergin notes. “The DLC sets all the rules and prices,” he explains. “We have very little leeway, as there are guidelines on how products must be represented, right down to where the bottles go on the shelves.” Still, Bergin and Swiatek note Beverage Warehouse is fortunate to be an agency store. “It’s a draw,” Swiatek says. “There are a lot of stores that just sell beer and wine. If someone needs a spirit, they have to go to another store. Here, it’s all under one roof.” Bergin adds that the spirits business helps cross-pollinate customers. “If they come in looking for a Bourbon barrel-aged beer, we can ask if they’ve tried the Bourbon in that barrel,” Bergin adds. General manager Todd Delbeck, a 36-year Beverage Warehouse employee, oversees the purchasing of the store’s 2,500 spirits SKUs in addition to managing its 30 employees. Bourbon is the hot spirit, of course, with the selection ranging in price from $25 to $78 a 750-ml. Top sellers include Maker’s Mark, Bulleit, Knob Creek, and Jefferson’s. “We’re starting to see interest in aged sipping rums,” Delbeck notes, pointing to the likes of El Dorado 8-Year-Old Cask Aged ($35 a 750-ml.). And local spirits, such as those from Smuggler’s Notch and WhistlePig distilleries (generally priced from $25-$78), do very well. Delbeck would love to further expand the selection of spirits, including more Bourbons, Scotches, and barrel-select whiskies, but the control state system can be an impediment. The store also offers about 4,000 wines. “Our sweet spot for wine has been increasing in the last couple of years,” Dennis remarks, pointing to the store’s best-selling 2016 The Fableist Cabernet Sauvignon, which retails at $18 a 750-ml. Other types of wines that are trending at Beverage Warehouse include Oregon Pinot Noirs, rosés, and pét-nat wines. “The Vermont wine scene is coming along,” Dennis says, referencing wineries like the Mount Hunger-based La Garagista. “Gone are the days of overly sweet wine. Vermont is now producing some sought-after wines.” To showcase its fine wine selection, the store features a temperature-controlled wine cave with some 500 bottles, including selections like the 1988 Château Rieussec Sauternes ($40 a 375-ml.) and the 2000 Falletto Barolo ($1,000 a 1.5-liter). Swiatek and Bergin say that, selection aside, it’s the Beverage Warehouse staff who bring customers back again and again. “Our staff is made up of former professional cooks, bartenders, you name it, so they’re very enthusiastic about selling wine, beer, and spirits,” Swiatek notes. She takes pride in the fact that a number of former employees have moved on to positions at other local stores, distributorships, and breweries. “We’re a training ground of sorts,” she says. Staff members and supplier representatives participate in free in-store sampling events, which take place three to seven times a month. “We encourage our customers to experiment,” Swiatek says of the tastings. “And when something is free, it’s rather easy to get them to try it.” Other promotions include this year’s “60 Days of Rosé,”—adapted from last year’s successful “30 Days of Rosé”—in which the store features a different rosé every day of April and May. Beverage Warehouse’s various social media platforms also play an important marketing role. In addition to other Winooski-area independent beer and wine shops, the store’s rivals include grocery stores and membership clubs. “Even though we’re competitors, most of the independents are supportive of each other,” Swiatek says. “We often send our customers to another independent when we’re out of something.” That camaraderie resonates with customers, as Vermonters in general are wholly supportive of local, family-owned stores. And, like any good neighbor, Beverage Warehouse is a big supporter of community and social groups. The annual “Hops 4 Hunger” program gives customers the chance to receive hard-to-get Vermont beers, with all profits going to feed local residents. Other programs benefit groups like Purple Hearts Reunited and the Josh Pallotta Fund, which supports those struggling with PTSD.